Air New Zealand has added a third new destination for 2016 with the announcement of nonstop flights to Manila from its Auckland hub. The three times weekly services with Boeing 767-300ER aircraft will start in December and operate year round. It will be the airline’s 32nd international destination. Currently, Air NZ serves Manila through its alliance partners, with codeshare flights on Singapore Airlines via Singapore or an interline arrangement with Cathay Pacific via Hong Kong. The Philippines capital joins Osaka in Japan and Ho Chi Minh City in Vietnam as new Air NZ destinations scheduled to launch in 2016. Osaka and Ho Chi Minh will be seasonal routes. It will be the first nonstop flight between the two countries. Philippine Airlines serves Auckland from Manila with a one-stop offering through Cairns using Airbus A320 narrowbodies. Air NZ chief executive Christopher Luxon said the new nonstop flights would shorten journey times and boost tourism in both directions, noting there were 40,000 Filipinos living in NZ, while tourist numbers from the archipelago had grown about 20 per cent in the past year. “As the only non-stop service between New Zealand and the Philippines, our flight will be quicker and more convenient for travellers than the fastest current option which flies indirect, potentially saving up to two and a half hours each way,” Luxon said in a statement on Wednesday. Flight times were not published, although the journey was expected to take about 10 and a half hours. Ticket sales were expected to begin in the middle of the year. 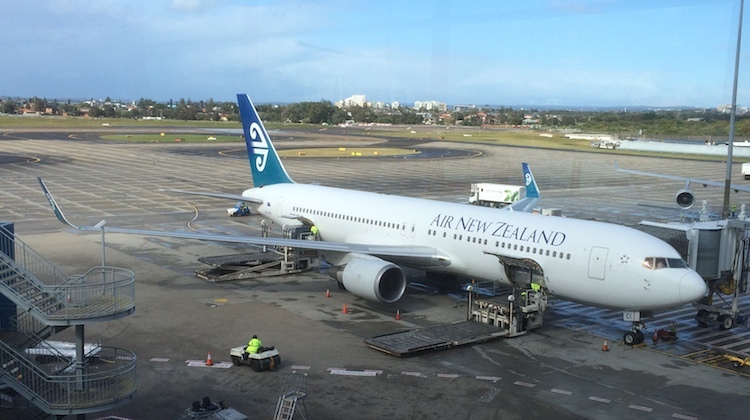 Air NZ’s 767-300ERs are configured with feature 24 cradle-style seats in business class in a 2-2-2 configuration and 206 seats in economy in a 2-3-2 layout. There is no premium economy cabin. The five 767s were due to exit the fleet by the end of calendar 2017. The airline has guided the market to a seven per cent capacity increase in the second half of 2015/16, with short-haul services to expand by five per cent, while long-haul services were tipped to grow nine per cent. And looking further ahead, Air NZ said at its 2015/16 first half financial results it expected to grow capacity between eight and 10 per cent in 2017. Air NZ has published a video discussing the new Auckland-Manila route below. Great ANZ is focussing on Asia. Or more precisely from the Bombay hills to the real Mumbai!